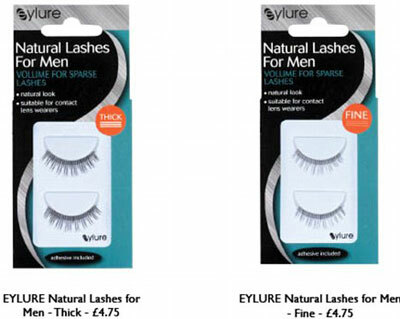 The British Eylure brand has decided to help the men, who want more than just the eyeliner, and presented a new product – false eyelashes for men. A pair of guylashes should cost about 4.75 pounds ($ 6.5). Now they are sold everywhere in the UK. There are two variants of guylashes – thick and thin, and both of them are attached with the help of an invisible adhesive tape. 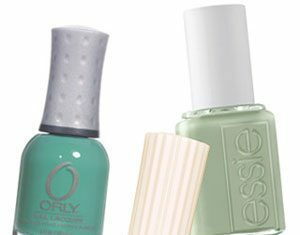 The novelty makes its owner have a real “Hollywood look”. It might be a new product for the Europeans, but the market in Asia is already saturated with a variety of false eyelashes. The fact is that the average eyelashes of people in Japan are only 5.8 mm long, and it is almost a half of what the Europeans have. Japanese men have long used false eyelashes. For example, in 2008 the Japan Times newspaper wrote that there were more men with false eyelashes than women at the party in honor of the Shu Uemura brand in Tokyo. As for Europeans, the product is of great interest, and men buy false eyelashes. The owners of the shops that sell guylashes note the great popularity of the new product. Source of the image: Culturefreedomradio. Previous articleIs Wearing Breast Size Tags at Work OK?